Let’s be real here, marketing your business can be an incredibly difficult endeavor, so choosing between illuminated signage and a billboard may not seem like your highest priority. That’s a fair enough assumption, but in reality, the kind of signage you choose will have a massive impact on how you market your business. We’re here to make your job in that department easier, so let’s get on with it! Vehicle signage is the ultimate in mobile advertising. Branding your car (or a fleet of them, that’s even better) will create a presence wherever you operate. This means you don’t have to pay to rent a space, and your canvas is completely mobile so as to reach a ton more people in the area of your business. Turn your vehicle into a mobile billboard is a great idea particularly if you’re a business that relies on delivery systems or a lot of movement, because even while you’re on a job you’ll be cementing yourself in the minds of the people around you. Tell the story of your company everywhere you go. There’s turning something else into a billboard, and then there’s creating an actual billboard. Billboards are big and bold, and when they’re well-designed they are excellent for keeping you top-of-mind for your customers. You can create a billboard advertising for a specific product or service in your range, or you can create a space in the skyline for your company’s name and image. It’s a fast-paced world out there, and sometimes what you need is a very large sign with your name on it to grab attention. Who said signs had to be on buildings or cars? One of the best ways to get your business out there is to create a great social media presence. It allows your customers to connect with you on the daily, even if they’re not necessarily going to come and see you that day. Post new product releases, the latest job that you’re particularly proud of, or even just a picture of everyone in the office having a great time on a Friday. Updating on social media regularly also has the benefit of making your business familiar to people; human and inviting, rather than just a logo. Platforms like Instagram, Facebook, and even Twitter are great for this option. Take your branding one step further and light up the world with neon or LED signs, channel lettering, or lightboxes. This is a great tactic for advertising, especially at night where your message will shine brightest. In that darkness, nothing is more welcoming than a warm light, and the best thing you can do is associate your story and business with a warm presence. Take a billboard to the next level with a rich media display, or alter your exterior signage to tell people more about what you do. Digital displays and screens allow you to play with movement and colour variation, and to capture the eye with its varied options. The great thing about a rich media display is that you can include footage in your campaign, making it so much easier to communicate who you are and what you do to anyone passing by. This isn’t necessarily a signage option, but it’s an excellent marketing tactic and a great way to connect with your customers, so we’re going to include it anyway. The cool thing about company newsletters is that they’re sent directly to the people you want to see them, and they can contain whatever you want! Tell a cool story that happened in the past week in the office, talk about a promotion, or give your customer base a few tips in your area of expertise. Things like this are invaluable when it comes to building a connection with the people who search for your services; it opens a line of communication like almost nothing else! Make your newsletter graphically inspiring with eye-catching colours and designs, but always make sure it’s clear, interesting, and easy to read. Looking into your options? Give us a go. 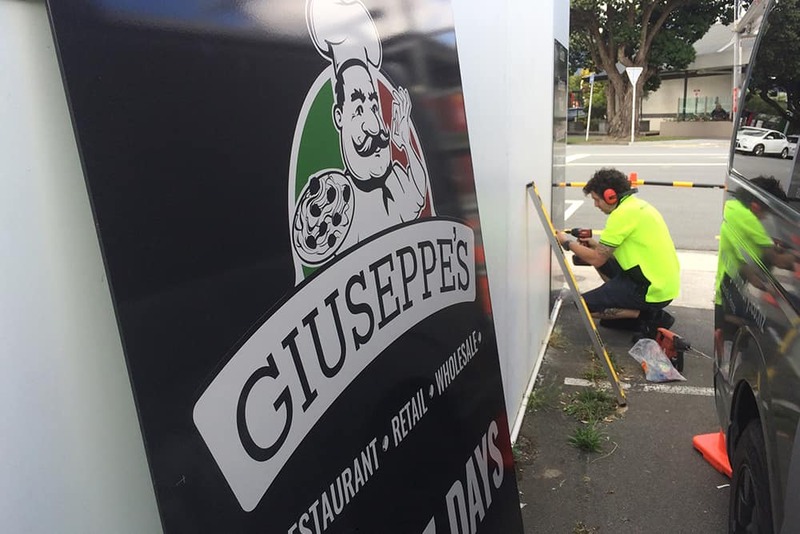 We work with you from the conception of your signage idea, right the way through to the installation, making sure to provide our expertise along the way. Contact us now for a chat, and get to know why we’re an award-winning signage company.